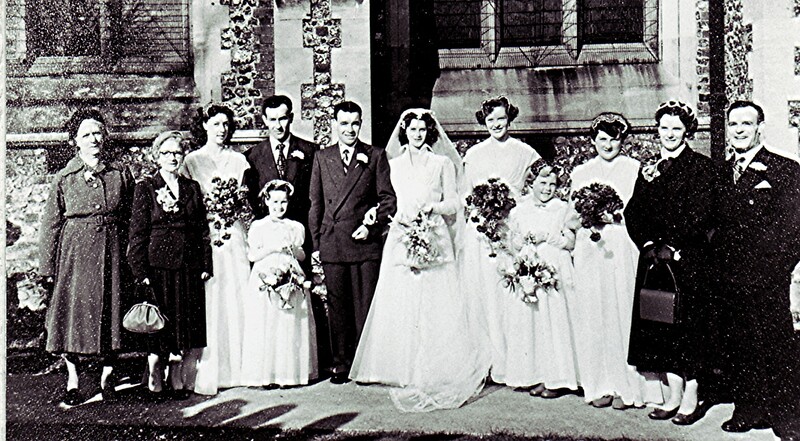 The marriage of Brian Males to Margaret Day, Redbourn March 1955. Left to right: Mary Jones, Elizabeth Males, Betsy Banfield, John Walker, Linda Walker, groom and bride, Joan Ferguson, Elizabeth Cobb, Averil Eames, Betty and Ernest Day. This page was added on 10/09/2010.